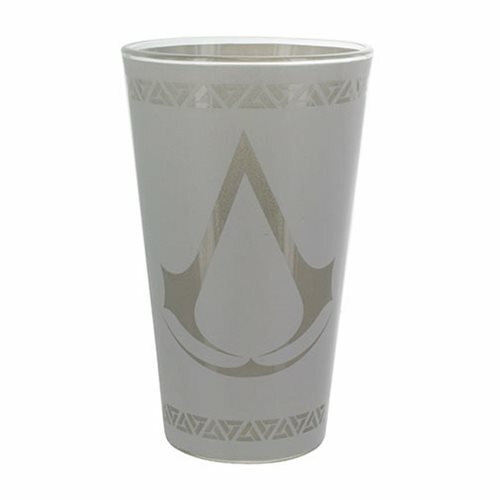 Enjoy refreshment whilst on your next gaming adventure with this Assassin's Creed Pint Glass. Take a break from hunting your enemies and drink from this stylish glass featuring the iconic Assassin's Creed logo in matt and gloss print. Hand wash only. Not dishwasher safe. Do not microwave.